The perfect sandal for toddler girl - ankle strap so they stay on snug. 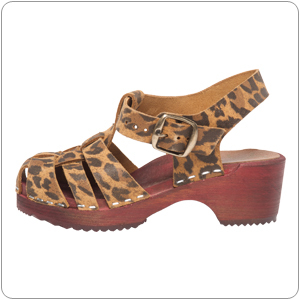 Quality upper leather faux leopard pattern - the alder wood base is of a stained brown reddish tone. Staple construction handmade in Sweden.